Belleek harp features delicate china strings. 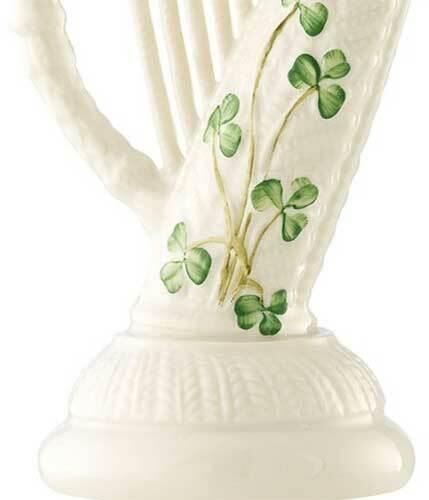 The Belleek harp figurine features hand painted green shamrocks along with an embossed motif. 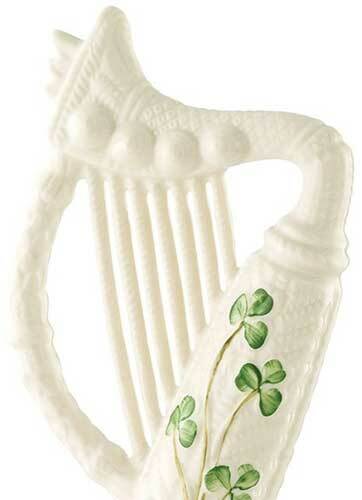 The harp, which is the national symbol of Ireland, measures 2 3/4" wide x 6 1/2" tall. The Irish harp is hand crafted of fine china in Belleek, Ireland; it is gift boxed with a shamrock history card, complements of The Irish Gift House.